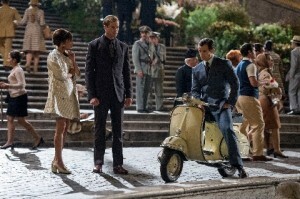 The Man From U.N.C.L.E is an action spy-fi movie set in the early 1960s during the Cold War. A mysterious criminal organization plans to use nuclear weapons and war technology to disrupt the balance of power between the United States and Soviet Union. CIA agent, Napoleon Solo (Henry Cavill) and KGB agent, Illya Kuryakin (Armie Hammer) are forced to work together to stop the criminals in their tracks. Their only lead is the daughter of a missing German scientist who is their key to infiltrating the organisation. They must find her soon to prevent a global disaster. Cast and crew of The Man From U.N.C.L.E. visited The Historic Dockyard Chatham for 5 days to film a chase sequence where the Historic Dockyard doubles as East Berlin. In the film, the footage shot at the Dockyard is mixed with CGI to create an incredible, fast-paced car chase. The Dockyard has previously been transformed into France in Les Miserables (2013), Victorian London Streets in Sherlock Holmes (2009), and was HMS Gannet in The Dockyard was used in Mr Turner (2014). 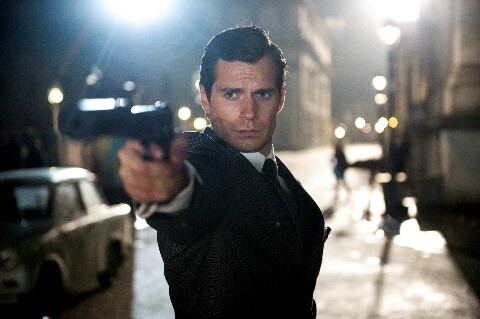 The Man from U.N.C.L.E is released in cinemas August 14th 2015. This entry was posted in Filmed in Kent and tagged Alicia Vikander, Armie Hammer, feature film, Henry Cavill, The Historic Dockyard Chatham, The Man From U.N.C.L.E. film locations. Bookmark the permalink.